These golden, dangly, fun earrings are made from magazine paper! 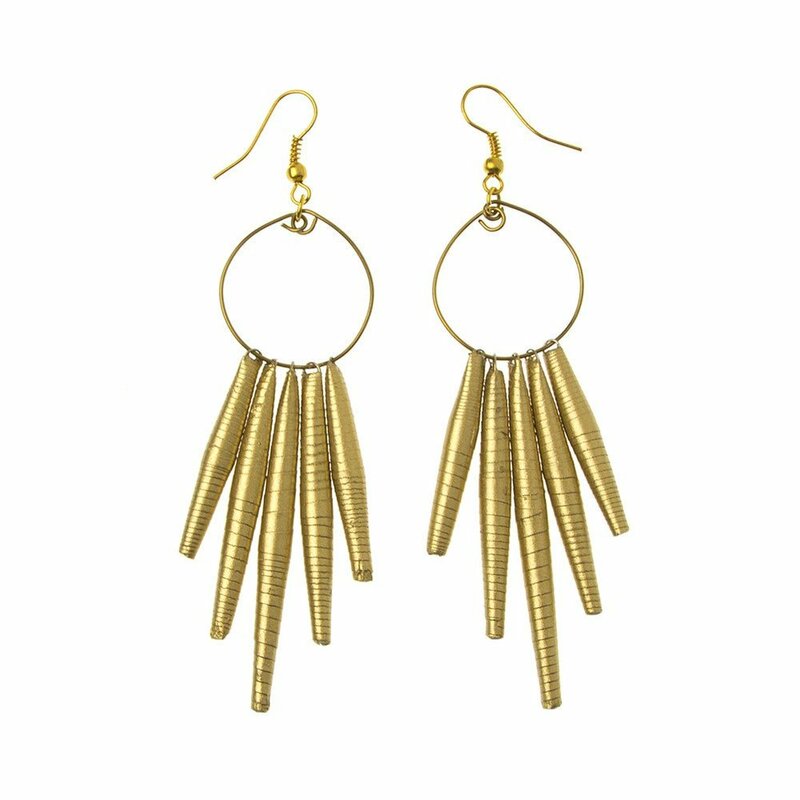 Rolled into delicate cylinders and strung onto these perfectly sized hoops. Light and pretty, a compliment to any outfit day or night. I've written about Global Goods Partners in the past...because I positively love what they do!